While moving, one can understand its complication and how even a single mistake can cause utter chaos. It’s important to take care of all your valuable goods and to protect them from any harm. During the moving mayhem, there are two things which need your extra attention and those are your computer and laptop. In today’s digital world most of your life’s work is stored in hard drives of your computers and laptops. That’s why you should never underestimate the protection of such items and should follow certain tips to pack them properly. 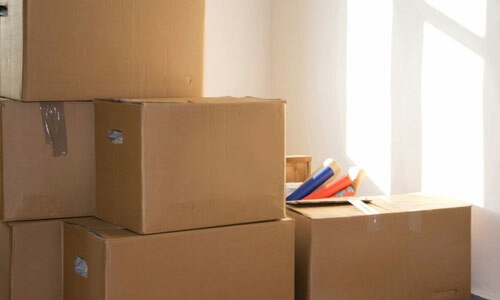 So follow these tips while moving to ensure that PC and laptop are ready to work once they arrive at your new location. Even if your computer or laptop is transferred by the best Movers and Packers Dwarka there are still chances of that your PC or laptop might get misplaced or damaged. That’s why it’s very important to take a backup of all your files before packing them for moving. Also, one needs to have access to have important files which are related to your work while you don’t have access to your laptop. So you can either opt for cloud storage or you can carry a portable hard drive. Replacing cords and wires of your PC might prove little expensive if you tend to buy them again. So as soon as you take the cords out pack them all in a separate single bag so that you don’t replace them. Also remembering which cord is for which port is crucial as it will save a lot of time while you reassemble your system. So mark your cords with colours or labels so that it gets easier for you once you start unpacking things. Depending on the type of your PC or laptop and its accessories packing can take time. The packing time is directly connected with packing supply. So it’s important that you acquire packing things like computer boxes etc. before moving with Packers and Movers Dwarka Delhi. If you’ve saved the computer box which you got with it then half of your work is already. But if you don’t then you’ve to acquire or rent them from Movers and Packers Dwarka. Remember to get sturdy boxes. If you’re using unassembled boxes then tape them properly with adhesives. Be sure that your computer doesn’t drop out from the bottom of the box. Reinforce the openings with extra layers of tape. Pack your monitor separately with from other parts. Wrap it in a bubble wrap or fold it with a cloth or towel. This is necessary to save the screen from scratches and damages. To keep it intact inside the box fill the box with foam and paddings. Prefer to carry your PC or laptop in your car rather than putting it in a truck with other bulky things. Now that you know how to shift your computer and laptops with Packers and Movers Dwarka Delhi safely, do follow the above guidelines and have a safe shifting.